Images printed with Mimaki JV300 on Oralite 5650RA Reflective. Top image is a daytime photo. Bottom image is a nighttime photo. 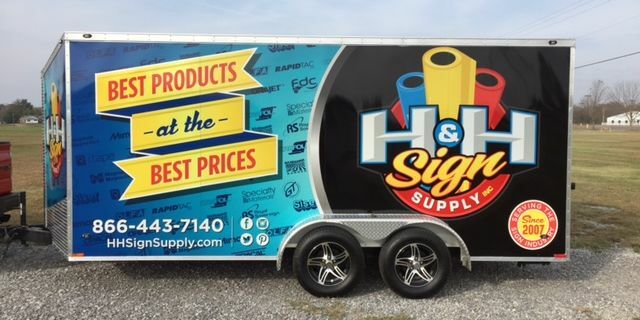 Browse these categories under "Vehicle Graphics"
Featured products under "Vehicle Graphics"
5.5-mil, perforated calendered PVC film available in white with a gloss finish and black backing. 50% printable area. 4 mil, special PVC film available in white with a gloss surface and RapidAir Technology. 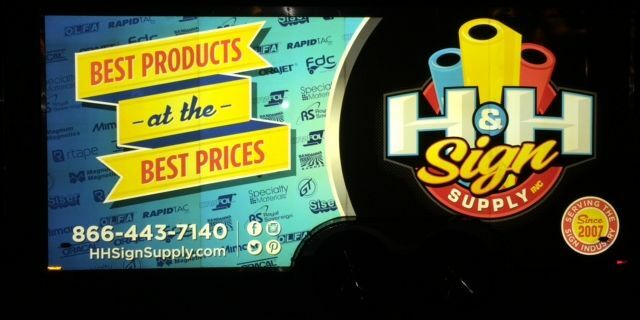 4 mil, special PVC film available in white with a matte surface and RapidAir Technology. 2.75-mil, Low Temperature Ultra-Calendered PVC Digital Media in arctic white with a gloss surface. 5-mil, cast PVC reflective film that combines excellent weather , solvent and corrosion resistance. 2.25-mil, Wrapping Cast Film in white with a gloss surface and RapidAir Technology & 2 mil premium cast PVC film with a UV extension factor of four years.